Gates reflected the materials and designs used for the fences. The Victorian era saw both wood and cast iron gates. 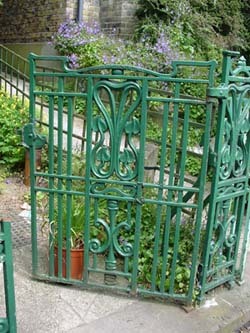 Wrought iron gates appeared with the Arts and Crafts movement.